I have mentioned the Piezo Pickups in the post about Frets and I have posted a test using the pickups. But how did I record that? Well, Garageband on the Mac, but how did I get it into the Mac? I am using a Rocksmith cable to plug my guitar into the Mac but before we can do that we need something to plug into. This is where the pickups come in. In my case I am using a Piezo Pickup which is a crude microphone. The Piezo Pickup is actually a Piezo Buzzer (Transducer) that costs about $1.50 at RadioShack. The guide I used to add my pickup can be found at CigarBoxGuitars.com article on Piezo Transducers. Some tips I have picked up along the way and plan to implement. 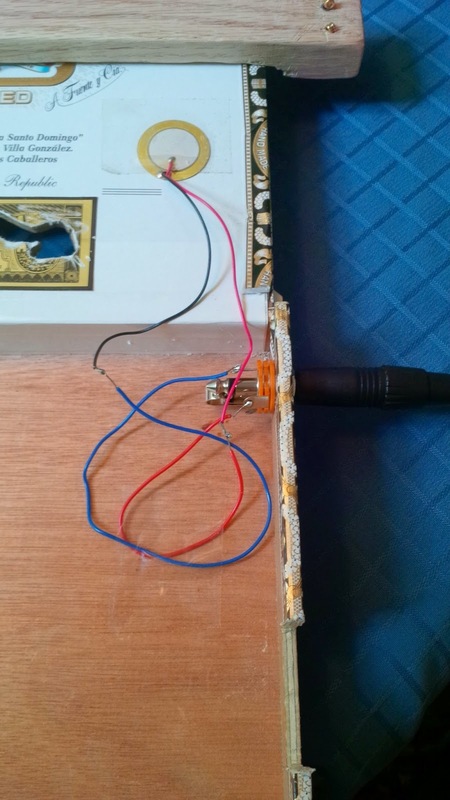 The piezo pickup will pick up background noise (turning your CBG into a lousy mic). The piezo pickup, due to the above, will cause feedback loops so playing in front of your amp or with a loud amp will be bad! To fix this, put the Piezo pickup in double sided tape that has some foam between the tape sides. Then tape this "padded" pickup into the CBG. This should reduce the feedback. Also, you might need to experiment with pickup location and amp placement. One of the things you have to do to hook this up is some basic soldering. I am not a soldering master by any stretch of the imagination. I am sure I would fail solder 101 but I was able to do a quick soldering job to put my parts together and electrify my CBG. I find it amazing that so little is required to create a lo-fi pickup. One thing about the lo-fi piezo pickup route is that feedback has been a problem. The pickup turns the CBG into a cheap/bad mic that you can sing into (as my son tried). It also means any touch, smack, knock of the CBG is going to get picked up and sent to the amp. 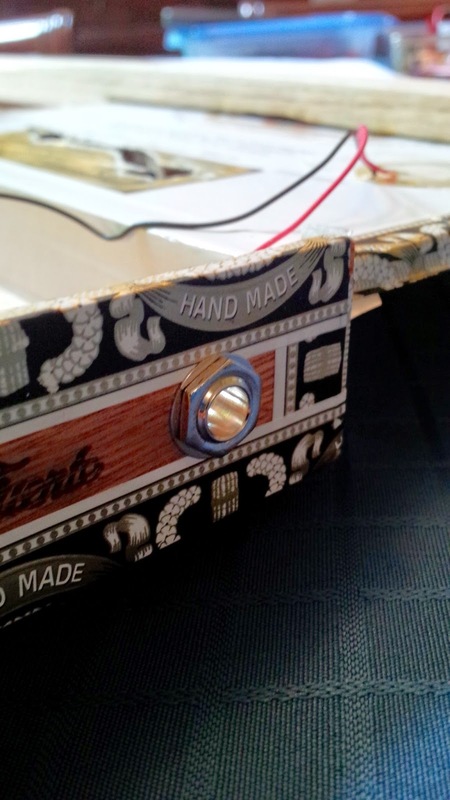 That is the state of affairs with my CBG at the moment so I went searching and found an article over at Cigar Box Guitar Parts that has a good refresher on the types of piezo pickups, feedback problems, and placement. Based on that and some forum posts I read, I plan to try the double sided trick I listed above.